You would be hard-pressed to find bigger news in rap this year than the release of Kendrick Lamar's first major-label album, good kid, m.A.A.d. city. Despite being out in the world, as of this writing, all of two days, the record has already received tons of critical raves, including XXL magazine's highest rating, and a coveted 5 Zeus Slaps from the mysterious (and hilarious) Big Ghost. But all of that would be worthless if the record itself didn't live up to the hype. Trust that it most assuredly does. 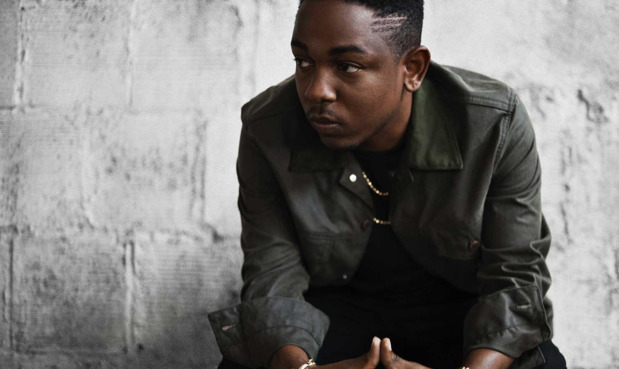 Kendrick bills the record as a “short film” and, for once, that's not hyperbole. The record perfectly captures the story of a boy on the verge of manhood. To celebrate the rare “event album” that is truly an event, we bring you five of our favorite moments from good kid, m.A.A.d. city. Kendrick addresses this verse to a woman who trades on material rewards in place of human affection. But unlike so many patronizing rappers who do a song for “the ladies,” he takes time to understand and contextualize his character. The wordplay is also stunning — the “good hand” line comes right after a mention of handbags, for example. But the true brilliance is in mentioning the Tina Turner hit “What's Love Got to Do with It”, thus bringing that song's complicated conflation of love and money, and the implied but unstated wish to someday untie them, into this woman's worldview. Perhaps the most evocative hip-hop writing about writing since Nas was “writing in my book of rhymes all the words past the margin,” Kendrick gives us a feel for how much he cares about his art. The pun on “margin” is brought out in the open not in a “Get it?” context, but rather to highlight just how individual and original his voice is. One of two beautiful verse-ending lines on this song, this rhyme transforms the “belly of the beast” cliche into something just a little off and unusual. The “angel on angel dust” formulation perfectly captures the album's central struggle, expressed in the title — that of being a struggling kid in a crazy place. “Sing About Me…” is the epic centerpiece of the album, one that finds the narrator wrestling with death and remembrance. These lines talk poetically about the burden of escaping from a bad situation, and feeling responsibility to those left behind. Despite being a relatively youthful 25, Lamar already has a much more centered and mature relationship to the ghetto of his youth than any number of veteran rappers who unquestioningly glorify every aspect of “the hood”, without any feel for the actual lives of its residents. If there is any more shocking and poignant way to talk about the brutal systemic racism that is too often a part of life in America's underclass, we haven't yet heard it. Calling yourself a “human sacrifice” is a shocking but all-too-real way of representing how the powers-that-be treat folks like those in Lamar's native Compton. The line also holds a more positive connotation — that Kendrick himself will sacrifice for the people in his city, and tell their stories to the wider world no matter the cost or obstacles.